Farmers’ Markets. I’ve said it before and I’ll probably say it another 5000 times. Visiting Orange Grove Farmers Market recently I was actually quite excited to see the place had grown since I was last there. At 8.45am the place was jumping. Baskets were emptying, queues to pay were forming and independent stall holders were all doing their thing. With the recent devastating floods around the country, I feel this is the time to make that special effort to support our local producers. By shopping like this I am showing my support for what they do. Giving them some love in the form of our dollar. For an idea of what it is like as a farmer on the other end please read Kate’s, (from Daylesford Organics) recent post. I can’t begin to imagine how hard it must be. 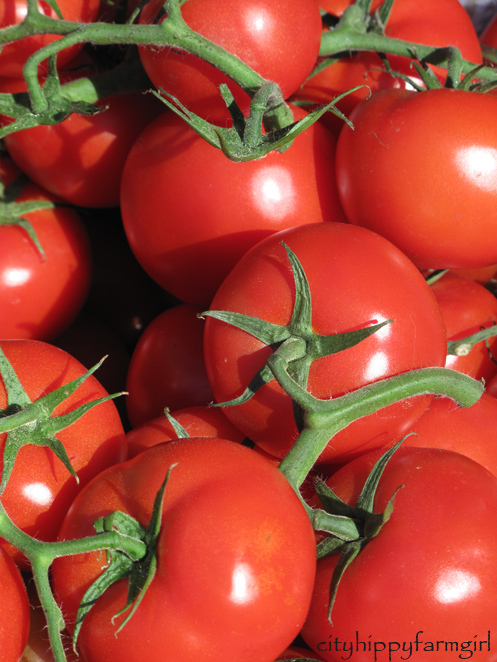 Buying straight from the producers gives you a freshness that just can’t compete with buying in a supermarket. That oddly misshaped heirloom tomato the size of a babies head, you are not going to find it in your leading supermarket. Tasting of summer, with seeds squirting down your chin. Team that up with some locally made cheese and you are in business. Heirloom, natural, organic, single herd, artisan, picked yesterday, seasonal, fresh, locally grown….it’s all there, just go take a peek. Our job is the easy one, go that extra kilometre, pay that extra dollar and show them your love. 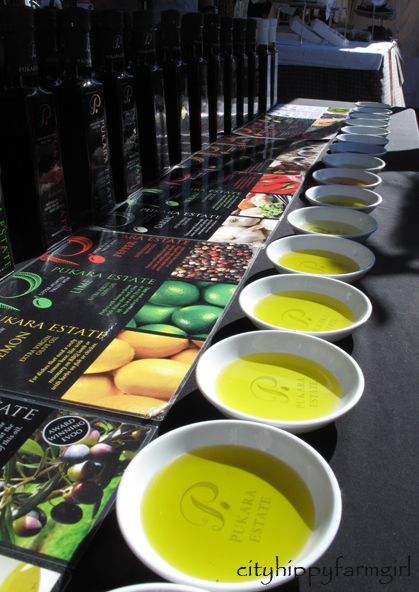 This entry was posted in Connecting with Community, Food Glorious Food and tagged Eating Locally, food, orange grove farmers market, seasonal, slow food, sydney by cityhippyfarmgirl. Bookmark the permalink. Well expressed. 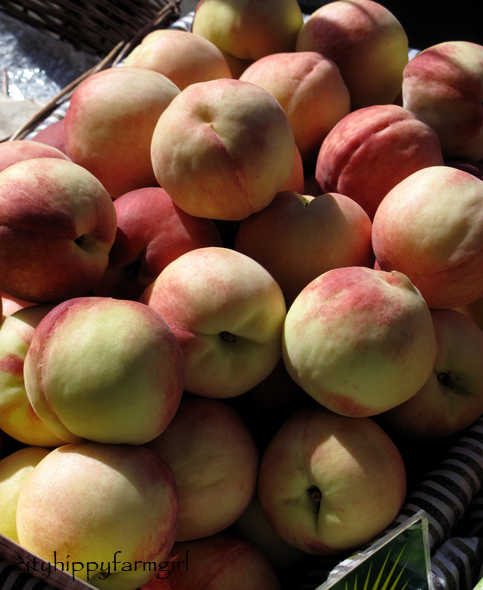 I love farmer’s markets too and I feel for what is happening to all of the farmers and growers affected! It must be so incredibly hard for them Lorraine. You’ve been to Daylesford Organics too! Big fan of supprting local farmers, esp. the organic & biodynamic ones, and love farmers markets, or as we are lucky to have here, a ‘farmers outlet’ which has amazing local, organic, sustainble produce. I am back into SOLE eating & shopping this year, it’s so worth it in every way! Love Orange Grove markets, although I don’t always make it there – I find the parking prohibitive. Did you find the amazing milk seller – I think it’s called Blue Moon? I did get some of that milk ‘Over the Moon’, couldn’t resist. The colour, the cream on top…I’m rationing out every last drop! Yum! We wet fruit and veg shopping at the farms in Galston at the weekend. The tomatoes and strawberries are to die for! Scrumptious! Is that part of the Hawkesbury Harvest Farm gate trail? I would love to spend a day going around to all the farms up that way. Thanks so much for this wonderful post and for the link Brydie. This sure is a crazy time and we all really have to look out for those that produce the food we eat. Kate you are more than welcome. I really hope that more people will begin to support their local producers. There are so, so many reasons to start doing so. Your 10 things post is lovely to read coming from the other side of the stall. Thanks Anna. It does taste so much better, doesn’t it. 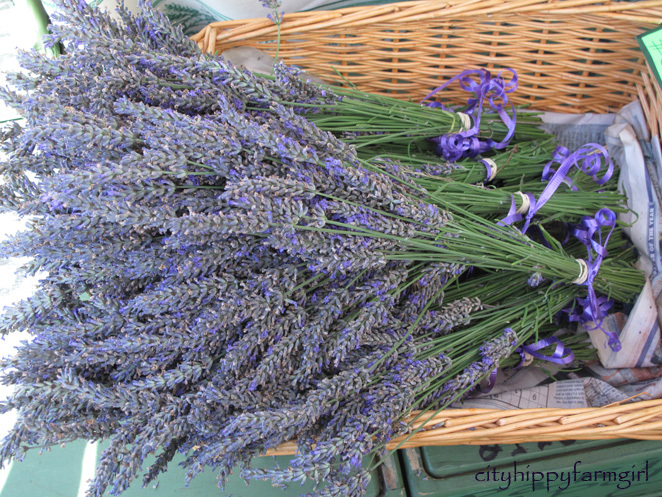 The lavender was so pretty sitting in the basket. Oh, I love the farmers’ markets too. We are slowly getting a few happening in the metro area. It is so wonderful to build up a rapport with the people growing our food. As you say, it is great being able to eat something that you know was in the ground a day earlier. I do find it a little difficult finding a variety of organic sellers. It is a good sign that so many people are using these as a way of buying all of their fresh foods. The social aspect is wonderful too. The social aspect is great isn’t it. I really enjoy finding out more information on the produce I’m buying. More and more markets seem to be starting up. Some of them seem to be in really unlikely sorts of places, that start off as a trickle and then take off as more people enjoy doing their shopping there, and the ‘to market, to market’ word spreads. I am fairly new to farmers’ markets, but I am now converted. I love the Powerhouse markets in Brisbane and go whenever I can. I like the idea of knowing where my food comes from. I love buying from the actual growers when possible- I think it is certainly worth a couple of extra dollars to keep them in business. AND it makes me so happy to have fresh and local grown foods. You know Heidi if you come to Australia this year, you could get your own stash…lavender included! totally agree! If your local farmer’s market doesn’t have it, it means it’s not locally in season and you shouldn’t be buying it anyhow, not just because it will have ridiculous amounts of food miles on it, but because it won’t be at all nice. I am drooling over the fresh local foods at your market. Transport me there now please. Beautiful pictures. I’m completely salivating over those tomatoes. As I try not to buy them out of season, it’s a very long time since I had one. 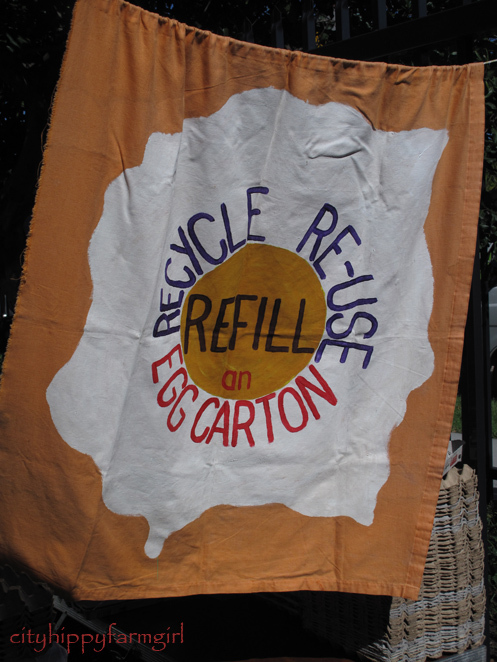 Love the reuse egg boxes cotton poster. I am getting more anxious for spring by the minute! I wish I had some lavender and tomatoes…especially the ugly ones…they need love too. Well written and well said! I wish we had farmers markets where I live now, in Norway. Perhaps I should sell my produce this coming spring? Hmm…. You are inspiring! Typical of you.